I had no idea what a cyclocomputer was until I discovered this wonderful project by Mark Fickett. 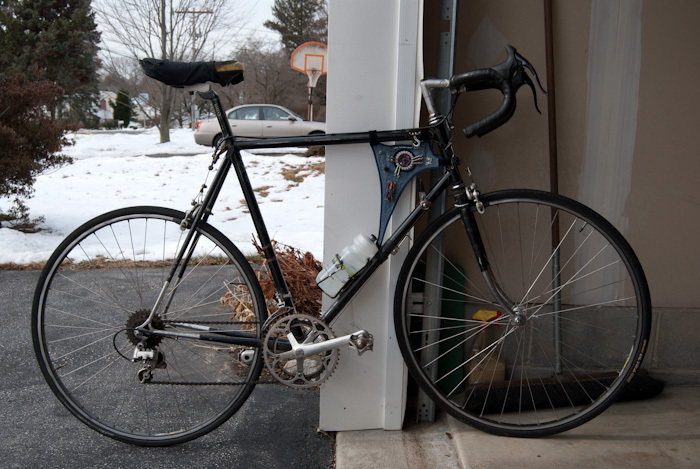 Essentially a cyclcomputer is a gadget that records and displays cycling trip information (speed, miles traveled, trip duration, etc). Mark Fickett’s Lilypad version counts and records the number of wheel revolutions using using a wheel sensor. 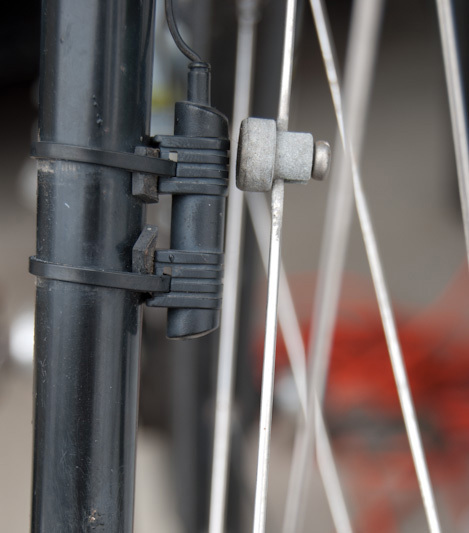 The wheel sensor is comprised of a magnet on the and spoke a reed switch on the front fork. The device stores the kilometers traveled which can be played back in Morse Code via a tiny speaker. It also records your speed throughout your trip which can be visualized in a chart. Check out the detailed video below that thoroughly explains the project.